Thousands of Ulster Bank customers are set to receive an average €2,300 from the bank after being charged too much interest on their fixed rate mortgages. As part of a review of its mortgage book, Ulster Bank found that 9,800 customers were overcharged because they were put on a different fixed rate than the one they had applied for when they took out their mortgage. Another 8,500 customers received a slightly lower interest rate and benefited as a result of the lower rate. Ulster Bank said these customers will not be asked to make up the difference. The lender said the average period the interest rate was applied incorrectly was just over two years and the average difference in interest rates was 0.37%. 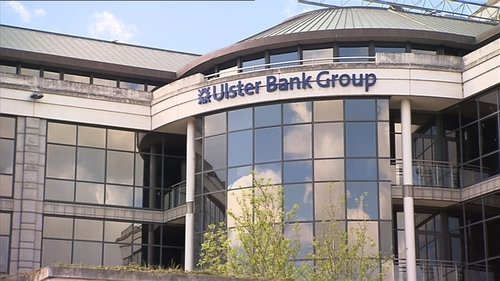 Ulster Bank's Deputy CEO Paul Stanley said that as part of a review of its mortgage book, the bank had identified an historic error that had affected its customers. "It is important that, when we find issues like this we do the right thing, fix the error, explain what has happened and put it right for our customers," Mr Stanley said. "For those customers who have been negatively affected, we are currently in the process of writing to them to apologise, explain what it means for them, and provide them with refunds and compensation," he said. "We sincerely apologise for the impact this has had on our customers. Customers do not need to take any action - we will write to them if they have been negatively affected," the deputy CEO added. Ulster Bank said it expects to substantially complete the refunds and compensation to customers by the end of 2019.